"Flow like water" you will see. The concept: you get, what you give. because they think it is WORTH your attention. Do your research before you spend any (money or time or time) on any topic/program. sometimes 2 times a days. I am watching the ads for something juicy to read. Let's make the ads worth reading by putting content we want to read. or even cute cat pics. I think my upline brainynetwork is not here anymore. yeah, he is my upline as well. I think Brainy is focused on a steemit challenge for a while. Thank you for your info mate. Do you know? Evergreenadz is showing scam in netbusinessrating. But I do believe Admin of Evergreenadz and brainynetwork. Admin is paying all the payment within 7 business days. All my downline also knew that. 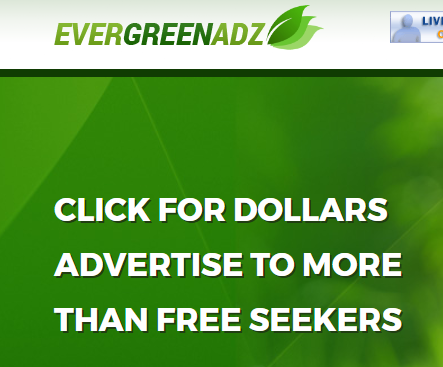 But some of my downline people say, why Evergreenadz showing scam in netbusinessrating? I told them I have no idea why netbusinessrating showing scam. please check below my screenshot. Add the total number of clicks and then divide it by the number of days this referral is old.